At Diamond Facilities Support we can deal with all of your emergencies. Our 24 hour a day, seven days a week helpdesk will give you support you can depend on – with response times geared to your business need. We offer you a single point of contact for all of your property needs, supported by professionally trained nationwide multi-skilled teams you can rely on for outstanding service when you need them most. Fabric: carpentry, plumbing, roofing, plastering, decorating, flooring, glazing and security, roller shutter repairs, drainage including jetting and CCTV surveys, car park repairs and general building works. M&E: lighting, heating and ventilation, air-conditioning, hot and cold water, plant room maintenance, data cabling, sanitary services, utilities maintenance. Providing a regular programme of maintenance activity is the best way to ensure that your property portfolio remains in excellent condition and is fit for purpose. Our expert staff will carry out regular, thorough property audits as part of our planned and preventative programmes. These programmes have been designed to maintain all of your business critical services, systems and equipment and ultimately save you money through much reduced reactive and emergency repairs. Our handyman regime is specifically designed to eliminate costly reactive maintenance calls and our helpdesk is well trained in identifying those calls that can be allocated to a handyman visit and those that are truly emergency. By batching non-urgent tasks we can create real efficiencies and cost savings. "Savings in excess of 70% can be achieved through the batching of non-urgent tasks"
To ensure the safety of your employees and the public, legislation now requires many appliances and equipment to be tested regularly for compliance with legal or statutory standards. We make this process straightforward and simple for you to achieve the required standards. Our expert teams offer a comprehensive testing service, providing you with full compliance documentation, peace of mind and the relevant remedial works should any be required. Our nationwide minor and project works team covers all sectors, working with both private and public organisations on contracts from £100.00 to in excess of £100,000.00. Our experience enables us to deliver cost effective, and sustainable projects delivered through our directly employed engineers and supported with an excellent national specialist supply chain. Following a disaster, the recovery of flood or fire damage in the home or at your business premises is our priority. We are experts in returning the affected property to its pre-disaster condition as quickly as possible, minimising any secondary damage and with the minimum of disruption for the customer. Water and fire damage clean up is a process that can have consequences to the structure and integrity of your property. If the process is managed by our team of experts you can be rest assured of a fast, efficient and cost effective solution. Diamond Facilities Support maintains all forms of grass areas, shrubbery and hard standings. Whether you have an immaculately presented lawn or an industrial estate where maintenance is an irritation to the business, we will provide 'fit for purpose', cost effective solutions. We are able to service one site or hundreds of sites nationwide. Our experience and expertise enables us to develop planned maintenance routines tailored to individual needs. We are committed to looking after your external environment, acting as your eyes and ears, identifying areas that put your customers or staff at risk, and providing simple solutions. For our clients cleaning is one of those vital services that must be done exceptionally well and in a manner that does not create any inconvenience to staff or customers. It must be done in a timely and efficient manner with attention to detail at the heart of what we do. Diamond and its partners are experts in making this happen. Our structure ensures we continue to meet the exacting standards we've set for ourselves. All managers and supervisors report directly to a board director, who continues to remain personally involved in the day-to-day running of every contract. What really sets us apart is our innovative audit software. Developed in-house, our IT platform makes it easy to keep track of every aspect of our service, making us completely accountable at all times. It collates a library of reports, manuals and important health and safety information which is at your disposal and allows you to provide instant feedback to which we will respond immediately. Security Systems are an integral part of today's society. As individuals and businesses we strive for 'Peace of Mind' and to know that our staff, customers and facilities are safe. Security Systems are designed to protect buildings, vehicles, personnel and staff from harm and wrong doing. Diamond Facilities Support can provide the service, maintenance and repair of bespoke systems ranging from a simple standalone solution, providing just one type of protection, through to intelligent, complex, integrated systems providing multiple fire and security protection. Are you responsible for the water hygiene services of your company? Diamond Facilities Support are a specialist water hygiene services provider, offering Legionella testing and prevention services to ACoP L8 and HSG274 standards. We are dedicated to serving businesses and all necessary requirements relating to their water systems. We have developed a range of services relating to water hygiene and management that will ensure that your business remains safe and compliant at all times, leaving you to focus on your core business. All of our water treatment and hygiene services are in line with current legislation and accredited by BSI's ISO 9001 and the Legionella Control Association. We have experience across all sectors, from private and public organisations to national blue chip companies. Our aim is to provide clients with peace of mind through reliable, experienced and efficient services, delivered by a friendly and knowledgeable team. From pipe work repairs to Legionella risk assessments, we ensure a superior and cost effective service delivery. We will not only help you to implement the systems necessary, but will actively manage your water systems and provide the necessary remedial works to ensure you remain compliant at all times. At Diamond Facilities Support our vision is to provide sustainable, efficient and effective waste management solutions to our customers throughout the UK. Our whole focus is on reducing waste, increasing recycling and minimising waste to landfill. Diamond Facilities Support and its partners have created a leading waste management solution in the UK. Through a team of experts we offer an unmatched pedigree of expertise, understanding and cost effective service delivery. We have built a reputation for excellence, saving our customers money on waste bills by negotiating cheaper tariffs, increasing recycling rates and reducing administration costs. We offer a consistent, reliable and hassle-free experience and can call on the services of our network of regional and local suppliers, to provide you with an independent and truly bespoke recycling and waste management solution. More than 80% of the materials we collect avoid landfill through our range of sustainable recycling and waste management services, and wherever possible we aim to provide a zero to landfill solution. With our partners we have almost a century of experience in waste management. We offer a complete 'one stop shop' solution for all your recycling and waste needs, with the added benefit of reduced administration costs, as all your services are invoiced on one consolidated monthly invoice. 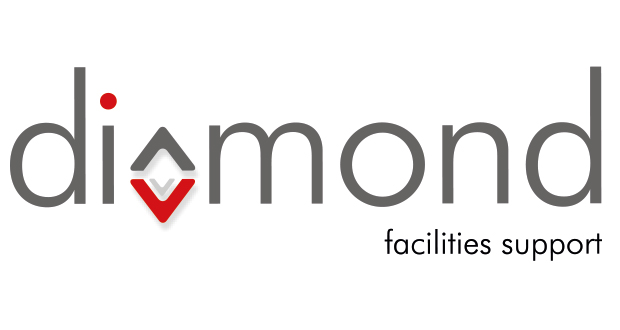 Diamond Facilities Support provide integrated pest management packages individually designed for each customer's requirements, and we encourage a working partnership to eliminate disruption. Customer Care is a priority to us, we achieve a rapid response to our clients pest control needs at all times controlling and eradicating pest control issues. Do you want 10%-45% of Energy Savings?? We help clients get value from their energy contracts, reduce energy consumption and lower their carbon footprint. Our clients range from high street shops to multi-nationals with thousands of sites. Through our partners and expert advisors we manage tens of thousands of energy meters. With access to prices from every gas/electricity supplier in the UK we can find the most economic solution for your business and help to drive down energy consumption by working in partnership. All that we require in the first instance is some basic information and a recent energy copy invoice. Our experience has told us that 1 in 3 sites will reveal a savings opportunity of between 10-45% of annual expenditure. Further on, site surveys can reveal additional savings and opportunities. Audits will look to reveal billing anomalies, fixed charge investigation, allowances available, validation of surface water drainage charges, assessment of consumption, possible leaks/shared supplies, meter sizing, trade effluent consents, water efficiency measures. We link procurement of energy to energy efficiency to drive the maximum reduction available at a pace and cost that works for you. We offer a one stop shop for advice and delivery to those looking to outsource their in-house services. Through our experience we are able to design and deliver bespoke solutions that maximise both your budget and the services received. We can create genuine efficiency savings of between 10% and 30% without merely cutting costs, reducing services and therefore service delivery. Our approach is unusual in that we not only advise but we also provide direct delivery. Diamond Facilities Support continuously look to innovate in everything that we do in order to drive continuous improvement, efficiency and most importantly value for our clients. 1. Helpdesk and Operational Software - including quotation management, budget management, reactive maintenance, planned maintenance & handyman Schedules, nominated supplier management and real-time performance and SLA reporting. 2. Reactive, M&E Compliance, Planned & Handyman Regimes tailored to your exact requirements. 3. FM consultancy and continuous price benchmarking to ensure value for money in terms of your nominated supply chain, any works directly contracted to Diamond Facilities Support and efficiency in operations. Our operating management system is bespoke and can be uniquely and cost effectively tailored to your organisations operational systems and processes and the services that you require. The system provides real-time access for clients, engineers and nominated suppliers to ensure the most up-to-date information is available hour by hour. This new model combined with our bespoke web portal management system is being rolled out with great success to our current clients and has made a big difference in terms of cost savings and value for money. We understand the importance for your business to have a partner you can depend on, for all your property needs. Diamond Facilities Support offers an innovative and market leading planned, reactive, compliance, and project works service to a diverse range of clients. From fixing a leak to disaster recovery, cleaning and security, we can offer a comprehensive range of services to meet and exceed your expectations. Whether you are planning a national programme of works or require urgent help with an unexpected issue, you need a partner who can respond quickly and efficiently. Diamond Facilities Support Group has achieved its ninth consecutive year of growth in turnover. The firm, which is based on Birmingham Business Park, generated £9.5 million of turnover in the 2018/9 financial year – a £1 million increase on the previous year. It follows a year that has seen the firm launch three businesses to form the Diamond Facilities Support Group in a bid to provide more than 90 per cent of services from in-house personnel, creating 60 new jobs currently, with plans for further growth. These include fire and security maintenance and compliance through Sanctuary Fire & Security Limited; commercial cleaning, pest control and grounds maintenance through Nationwide Property Clean, and specialist drainage solutions via Jet Through Limited. The Group has landed more than a dozen contracts this year with high-profile names such as Ryder, Mitchell & Butlers, Yates and AFI taking the Group’s client base into the mid-30s. Adam Atkins, joint managing director of the Diamond Facilities Support Group, said: “We have bold and achievable ambitions for the Group to be more than doubling its turnover by 2022, which will be expedited by the formation of the new businesses. Helen Cooper, joint managing director of the Diamond Facilities Support Group added: “Creating an infrastructure where we can offer the majority of our services in-house with a 170+ strong workforce is vital for our long-term growth, because a consistently high level of service will increase the number of referrals that we are receiving and ensure client retention. The founder of two drainage businesses with multi-million pound turnovers has joined one of the industry’s newest firms, Jet Through Limited, to drive forward the company’s ambitious growth plans. 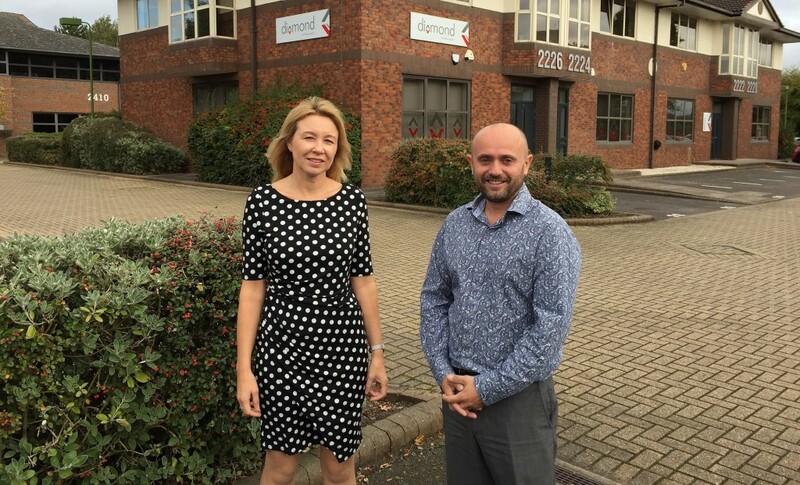 Greg Beech, who founded and grew UKDN Waterflow into a business achieving £50 million of annual sales before departing in 2014, has joined drainage and cleaning company Jet Through as a corporate development advisor and will be shaping its expansion. This includes taking the firm’s existing £1 million turnover to around £3 million in the next 18 months with a workforce of ten specialist drainage engineers working across sectors such as retail, care, hotel and leisure, education and commercial property. Jet Through is part of the Diamond Facilities Support Group of companies, which is also made up of facilities management firm Diamond Facilities Support, Nationwide Property Clean and fire and security maintenance firm Sanctuary – collectively the Group of companies has an annual turnover of £9.5 million. Jet Through was launched by Adam Atkins and Helen Cooper, the co-managing directors of the Diamond Facilities Support Group of companies, in spring 2018 as part of their vision to have more than 90 per cent of all of the Group’s services delivered by an in-house workforce. Beech, who also set up and managed a multi-million pound drainage utility business called Direct Drains between 1992 and 2003, said: “The consistent, fast-paced growth of Diamond Facilities Support meant this opportunity was just too good to turn down. “There is more than £1 billion worth of business to be had in the UK drainage market, and delivering a consistent level of high service in-house will stand Jet Through in good stead. Beech also recently spent two-and-a-half years at Preston-based Service Solutions Group as CEO, and is founder of Surface Medic. Adam Atkins, joint managing director at the Diamond Facilities Support Group of companies, believes the appointment of Beech is a coup for Jet Through. Sometimes a job is not straightforward and where vulnerable people are concerned it can mean a bit of quick thinking and sensitivity to other people’s reactions. Diamond Facilities Support engineer, Bobby Clarke, discovered this while on a call-out for Hft, a charity supporting people with learning disabilities for whom Diamond provides maintenance services. It was a Monday night and the staff on duty had called Bobby out to fix a problem. As he was trying to isolate a distribution board, it caused the lights to go out for five seconds. For many people this would be nothing but a quick inconvenience, but for people with learning disabilities it can be unsettling. Bobby noticed that one of the tenants was particularly distressed by the lights going out, so he took it upon himself to soothe him. Spotting an opportunity to encourage the supported person to get involved, he asked if he would like to be his partner in crime. The tenant immediately said yes and became visibly calmer. Bobby asked the person if he could count, to which he proudly said that yes, he could count to 2000! So, Bobby encouraged him to count to five while the lights went out, and when he reached five, they would magically reappear! By this time a number of other tenants had come over to see what was going on, which made the young man feel proud of himself for helping with the job. This is a great example of a Diamond engineer stepping in to turn a potentially difficult situation into an opportunity to involve people and make them feel safe. And of course, a member of Hft staff will always be there to advise the best course of action. Register now to stay up-to-date with the latest Diamond FS news. We're happy to advise particular projects or discuss how we can help you in the long term. Contact Diamond FS for a quote today.